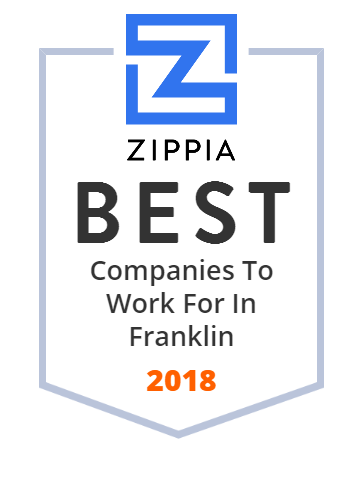 We hand-curated a list of the best companies to work for headquartered in and around Franklin, NJ using data on salaries, company financial health, and employee diversity. SHI International Corp. (commonly referred to as SHI), formerly known as Software House International, is a privately owned provider of technology products and services, headquartered in Somerset, NJ. SHI has Academic, Corporate, Enterprise, and Public Sector customers. Offering WMS and TMS Solutions for Pharmaceutical, Apparel, 3PL, eCommerce, and more. QSSI offers complete solutions for your Warehouse Management needs. See how we can help you. We are the largest refurbished PC manufacturer in the US, utilizing over 100,000 square feet facilities. The #1 Microsoft Authorized Refurbisher in the world! Rutgers Preparatory School (also known as Rutgers Prep or RPS) is a private, coeducational, college preparatory day school serving students in pre-kindergarten through twelfth grade, located on a 41-acre (0.17 km) campus along the banks of the Delaware and Raritan Canal in the Somerset section of Franklin Township, in Somerset County, New Jersey, United States. Established in 1766, Rutgers Preparatory School is the oldest independent school in the state of New Jersey and the 16th-oldest in the country. EWC is an industry leader having produced thousands of domestic and international meetings, from strategic concept to successful completion. G.J. Chemical is a woman-owned business offering high-purity reagents, acrylate monomers, heat transfer fluids, custom formulations and more. Medical Transcription Billing, Corp., a healthcare information technology company, provides an integrated suite of Web-based solutions and related business services to healthcare providers primarily in the United States. It principally offers PracticePro, a software-as-a-service platform, which includes practice management solutions and related tools that facilitate the day-to-day operation of a medical practice; electronic health record (EHR) solutions, which enables customers to reduce paperwork and qualify for government incentives; revenue cycle management services, such as end-to-end medical billing, analytics, and related services; and mobile health solutions, including smartphone applications that assist patients and healthcare providers in the provision of healthcare services. The company also provides ChartsPro, a Web-based EHR solution; transcription, coding, indexing, and other ancillary services; clearinghouse services, which enables clients to track claim status and includes batch electronic claim and payment transaction clearing services, as well as Web access for claim corrections; and electronic data interchange management system that audits, manages, and controls the exchange of information. It serves physicians, nurses, nurse practitioners, physician assistants, and other clinical staff that render bills for their services. The company was founded in 1999 and is headquartered in Somerset, New Jersey. MTBC, Medical Transcription Billing, Corp., is a publicly traded healthcare IT company that provides electronic health record software and technology-based medical billing, transcription and practice management services to healthcare providers in the United States. MTBC is headquartered in Somerset, NJ, USA and runs an operational facility in Rawalpindi, Pakistan through its subsidiary, Medical Transcription Billing Company (Pvt.) Ltd.
Regency Nursing and Rehabilitation Center. The premier Long Term Care center.